Tecta America New England – North Billerica, a commercial roofing contractor, was founded by Peter Owens, Brett Chapman, and Carolie Owens, the company began as Delta Roofing in 1988 and was acquired by Tecta America in 2007. Tecta America New England’s home office is in North Billerica, MA, not far from the hub of Boston. The early success of Delta Roofing was through hard work, quality products, prompt service and a commitment to satisfaction. In 2007, Delta caught the eye of Tecta America. “We thought that becoming part of Tecta America would create synergies that would make us more competitive and help us grow,” said Tecta America New England President Peter Owens. We are extremely proud of our hardworking and talented team and are excited to have won a number of awards and commendations from industry suppliers and are recognized for our high standards of craftsmanship. Tecta America New England has long specialized in reroofing and custom sheet metal work, fabricated in-house. 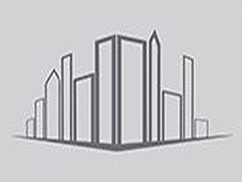 Their roofing industry expertise includes industrial, warehousing, commercial offices, healthcare, educational institutions and state, local and federal government buildings. Our installation and service area cover all of New England, making us one of the largest and most respected commercial roofing contractors in the region. We take great pride in the expert quality of our work, including the Evergreen Solar Plant in Massachusetts, the Thames River Bridge in Connecticut and the Church of St. Gregory the Great in Rhode Island. The quality of Tecta America New England’s work has earned them top awards from roofing product manufacturers and trade associations. These include Firestone Master Contractor, Firestone Circle of Quality, Firestone’s President’s Club Award, Carlisle ESP, Sika Sarnafil Partners Club Elite and Alliance levels, GAF Master Roofing Contractor, and Associated Builders and Contractors (ABC) Excellence in Construction Award. 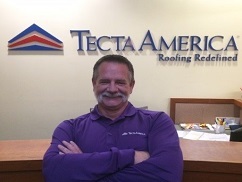 Peter's been in roofing since 1985 and joined Tecta America in 2007. He implements strategies to ensure significant growth and success of four New England branches, and Tecta America WeatherGuard. Jay has been in the industry since 1980 and joined Tecta America in 2007. He maintains a safe and healthy work environment for the employees at four New England branches, and Tecta America WeatherGuard. 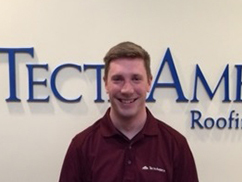 Derek has been in the industry since 2015 and joined Tecta America in 2015. He assists and supports the service operations at four New England branches and Tecta America WeatherGuard. 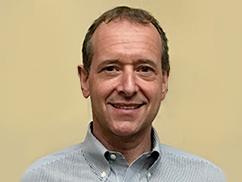 Michael has been in the industry since 1991 and joined Tecta in 2010. He is responsible for the management of project managers, estimators, daily operations, safety and quality control.